This isn’t easy for me, but it’s time for me to be honest: It’s over. For years, I had been fooling myself by thinking things between us would change. With you, it was always tomorrow, next week, next month, next year – but you could never let me just be me. Everything was always about you. Do you remember when we met? I sure do…I thought it was my lucky day. I was just starting to get the hang of playing slots when the lights started going off – JACKPOT! I was ecstatic. You wooed me with a big win and told me about all the things we could do together with the money: roll the dice at the craps table, start a poker tournament with friends, bet on horse races. I found myself missing you anytime we were apart, but it seemed like you always had a way to be there for me. I started stopping at the convenience store every day on my way to work. I told myself that it was for coffee, but really, it was to buy lottery tickets and see you. You surprised me with the chance to buy a loot box when I was playing my favorite video game. Even when I was at work, you were there for me. I could just take a quick break and visit one of my favorite online casinos! Things went downhill fast when my husband found out about you. I came home from work one day, and he started asking me all these questions about why I was never home anymore and why I was always asking for money. Turns out, he found my credit card statement in the mail. How do you think that went – with all of our trips to the casino, all the lottery tickets we bought, and all the online bets we made? I’ll give you a hint: it ended with him asking for a divorce. When I was younger, my mom warned me about addictions like you. You lure people in with your sweetness and then trick them into being your pawn. I can hardly believe that I let you take control over my life. It doesn’t matter now – we’re done. My friend gave me the number for Florida’s Problem Gambling HelpLine, 888-ADMIT-IT. I was scared to call at first, but the specialist who answered comforted me right away and let me know that our call was completely confidential. She helped me see how you had changed me, what you really are, and she even offered me free treatment. I don’t expect you to care, but I wanted to let you know that I’ve started on the path to recovery. I even self-excluded from all of our favorite casinos! I hope you stay single, because nobody deserves what you put me through. 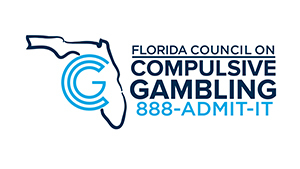 If you or a loved one is suffering from problem gambling, call Florida’s 24/7, Confidential, and Multilingual Problem Gambling HelpLine at 888-ADMIT-IT (236-4848). Visit gamblinghelp.org to learn more.